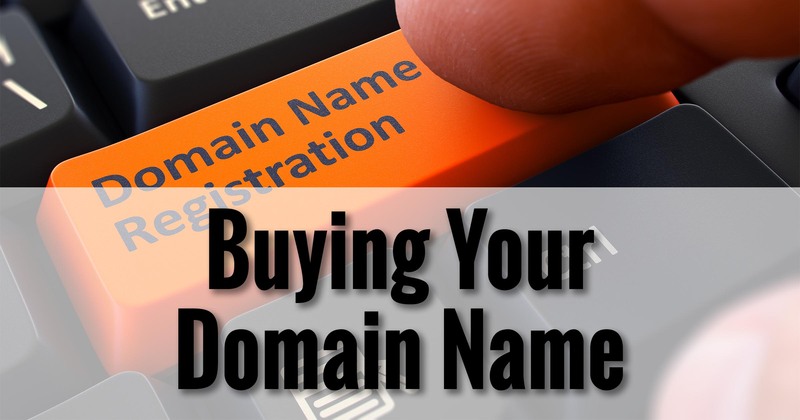 Purchasing a domain name, as I covered in the previous post, gets you exactly that: your domain name, and nothing more. You still need a location – a server connected to the internet – for your website and email. 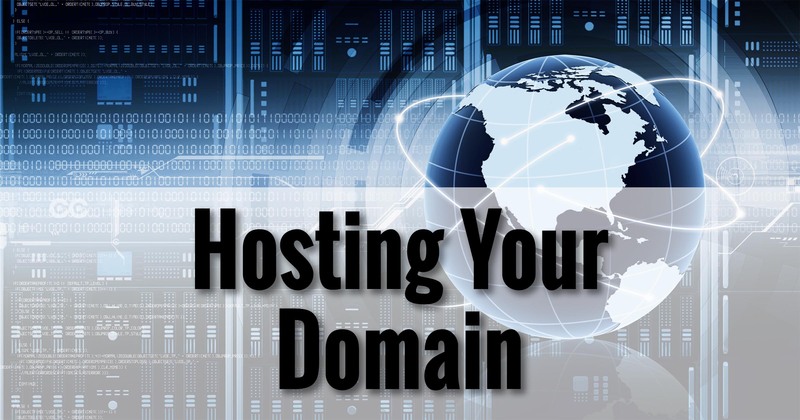 That location is referred to as web “hosting”; you’re now in the market for a place to “host” your web site. There are many, many, many options, so it’s impossible for me to cover all of the companies that might be offering services, appropriate or otherwise. I’ll cover a few of the most common, and my recommendation(s). There actually are several companies that will host your website for free. But as we all know, there’s really no such thing as “free” on the internet. While you might not end up paying money, you’ll likely end up paying in other ways that may or may not be appropriate for your purposes. Advertising. Ads are placed on, or around, all of your web pages. The ads may or may not have anything to do with your content. In the worst case scenario, they could even compete with your offerings. Limited email. As I’ll discuss in an upcoming post, email support on your own domain is pretty important. Limited storage. If you upload too many photos, for example, you may run out of room. Limited bandwidth. If you get too many visitors, access to your site may be restricted. Limited performance. As a side effect of sharing a server with hundreds, if not thousands, of other web sites, you may find your site is slow. Most free services also offer upgrades to more traditional hosting to alleviate some of the free “costs” and limitations … but then they’re no longer free. Bottom line: free web hosts are rarely appropriate for a serious, professional-looking web presence. Spoiler: I’ll be recommending WordPress as the way to manage your content in an upcoming post. You can, of course, get a free WordPress blog at wordpress.com – for example, http://leonot.wordpress.com 🙂 – but it suffers from many of the same limitations as free hosting, above, as well as having many of the same opportunities to upgrade, for a cost. Another alternative is WPEngine. WPEngine is a hosting company dedicated to hosting and managing WordPress-based sites. In fact, if you look at their marketing materials, you’re likely to recognize some sites they host. In both cases – WordPress.com itself, and WPEngine (and quite possibly other WordPress-centric hosting) – there is good news and bad. Good: WordPress is supported well and is kept up-to-date to run safely and quickly. There’s lot of room for growth as your website grows in popularity. Bad: typically, WordPress-centric hosting does not include support for email. There may be recommended alternatives, but regardless, they are alternatives. If you host your website here, it’s WordPress only, and you’ll need to host your email somewhere else. Email and websites don’t have to be at the same host, but it is often more convenient if they are, especially when you’re starting out. Shared hosting refers to the fact that your website may be one of many which share a single server. Depending on the underlying server’s characteristics (which is rarely disclosed), yours may be one of 10, 100, or even thousands of websites sharing that single resource. In fact, shared hosting has been the backbone of the internet for years. Millions of small-to-medium sized websites are running on shared hosting services, and you’d never know it. The primary benefit of shared hosting is that you typically get access to all the functionality you might want out of your internet domain. Not only is website hosting itself naturally part of the package, but email, basic mailing lists, basic anti-spam, file management, storage akin to having your own “cloud”, database management, statistics … you get the idea. It’s a veritable laundry-list of included features and functionality. And it’s usually not terribly expensive. One thing almost all shared hosting providers now include is WordPress, often promoted as a “one-click WordPress install”. The down-side to shared hosting is that, well, it’s shared. That means that while you are always protected from malicious behavior on other sites that might be on the same server, you may not be as protected if, say, they end up using all the resources and slowing the entire server down. Most hosts do a good job of managing this, but it can happen. GoDaddy. As I mentioned in the previous post: if you’re looking for a one-stop solution, after purchasing your domain at GoDaddy, you can also purchase web hosting. They have become one of the largest web hosts on the internet. Bluehost. I’ve been using Bluehost for a client’s website and email for several years now, and they’ve provided both the power and features the site needs, as well as doing so reliably. Ironically, while we can consider GoDaddy a registrar that also happens to offer hosting (to the point that they’re simply a solid web host today), Bluehost – and many of its competitors – can also be considered hosting companies that now also happen to offer domain registration. The world has become very complex. I’ll mention this and the next category only briefly, because it’s not where you want to start out, but it is important to understand what additional options are out there for “someday”. Dedicated hosting means you’re assigned your own physical server. Somewhere in a datacenter is a computer that is 100% yours and yours alone. You get full administrative access to the server to do pretty much anything you want with it. Support options vary from “you’re on your own” to “we’ll help you with anything”, with costs appropriate to each. The good news here is that the box is entirely yours. All performance, configuration, and storage issues are yours to do with what you will, without being impacted by sites other than your own. The bad news here is that if the box fails, you’re down until it’s repaired. (Fortunately, varying degrees of backup are typically included.) This is a pretty expensive option. Imagine a cross between shared hosting and dedicated hosting, and you get virtual hosting. Using virtual machine technology, you’re given access to an entire server, almost exactly like dedicated hosting. Once again, you can do with it what you will. Except that your server is “virtual”, existing only as a software simulation of a dedicated machine that in reality shares an actual, physical server with other virtual servers. This is extremely similar to the scenario I run here at home, where I have Windows 7, Windows 8.1, and Windows 10 all running simultaneously on a single machine, each in its own window … on my Mac Pro. While it shares some of the downsides of any shared solution – some vulnerability to the behavior of “other” virtual servers sharing the same machine – in reality, it’s nearly indistinguishable from dedicated hosting. There is one exception: to change the number of processors, the amount of RAM, or the amount of disk space available to the virtual server, one need only make a simple configuration change or two, and reboot. Ask Leo! (in fact, all my web sites) currently runs on a pair of virtual servers out at Storm on Demand. 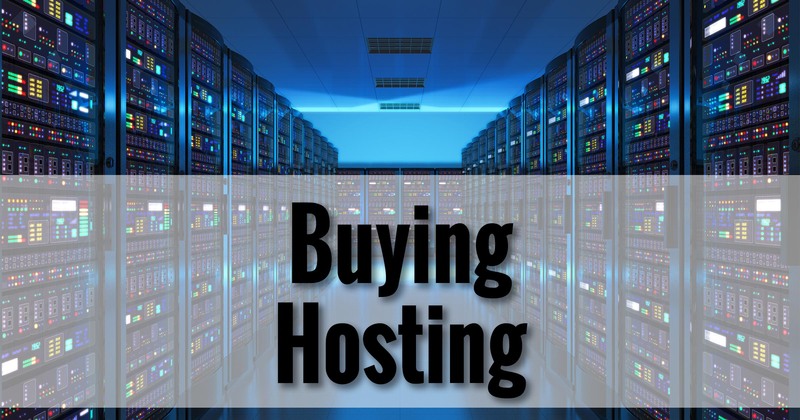 With that in mind, my next post will be a walk-through of purchasing hosting at Bluehost for the domain we previously purchased. Thanks Leo for your many informative emails I receive from you. The “Ask Leo! On Business” information you’re providing is also really good and I’m following them with much interest. As the name of email implies, you’re really addressing websites from a business point of view but, I suspect there are many folks like myself that are trying to create and maintain a website that is just for “informational purposes” only and don’t involve the sale of merchandise; i.e. Homeowners Associations, fraternal organizations (in most cases), etc. Being a novice, not only with computers, but certainly creating websites as well, I tend to take the easiest way I can find. This may not be the smartest or best way to do it. Perhaps after you finish with the series on developing business websites, maybe you’ll do a short version of ‘information only’ type websites. These comments are probably not what you want or asked for and if so I apologize. I noted with interest when you mentioned “free hosting” because one of the two sites I have created and try to maintain, does use free hosting, the other requires an annual fee. Email hosting isn’t involved for either site, (although available for a fee), which probably helps simplify the decision to use free hosting. As you mentioned, the “host’s” name does appear at the end of the website name you choose but the host does not place any ads on the site. The host I use is YOLA and as mentioned earlier, the simpler the better for me, they let you create, edit, save and publish all from an account you establish at their website. No programs to download to maintain the site and the only uploads required are new files or photos. As you also said, available storage space is limited, but I’m guessing most informational websites really don’t require a lot of space. The fee for the site I pay for totals about $100 per year, whether this is good or bad I have no idea; it does include the Domain Name fee, Hosting fee and a fee for what they call private registration, which supposedly stops unwanted attacks (for lack of better words) from hackers, spammers etc that are using the WHOIS published list. In my case, the only reason for using the fee based hosting is being able to eliminate the host’s name in the website name. The websites I’m talking about are: saotga.yolasite.com and masoniclodge424.com The masonic website I’ve just started and have many things I hope to add but…… Again, this most likely isn’t the type of comments you were looking for but any comments you might have that could be sent to my email address would certainly be appreciated. Many thanks again for the ‘Ask Leo’ and ‘Ask Leo! On Business’ emails. Might want to have q quick look at the section “What’s a business?” in the prior article The Roadmap to Success. 🙂 Basically, you’re included from the start. Leo, would you please say something about having a computer of your own, running 24/7, that serves as a host for your own website. What are the pros and cons of this set up and what are the limitations. I think I know most of the answers but still think it worth mentioning even as a matter of interest. Thank you. I did it very briefly, but there are a bucket-load of issues. MANY (and I mean MANY) ISPs, Spam Filters, and other anti-malware tools will consider a site hosted on a dynamic, or residential line as being suspect. I strongly advise against it for that and many more reasons. “No domain support. Rather than having “somerandomservice.com”, you end up with “somerandomservice.host.com”, where “host” is the name of the free hosting service. ” Actually you can use your own domain name with some free web hosts. One of my early attempts at a website was with a free hosting service. (http://www.100webspace.com/) The price was a small banner at the top and some up-selling emails. One of the up-sells was to purchase a domain name which you could use for your freely hosted website. I used that for a while, and when I started paying for hosting, I was able to take my domain with me. Like I said, it’s either advertising, or the domain name issue (or sometimes both). Unfortunately I have nothing original to add, apart from repeating what I have said before, namely that the Ask Leo! information is the best there is, and this new On Business newsletter is going to prove invaluable. I do hope this eventually appears in book form. Do the pay hosting usually give you a price break for committing to a set number of months/years? And if so, what’s the longest that one should consider? Most usually do, yes. How long, I can’t answer – it really depends on your specific situation, plans, commitment, resources and so on…. My web site has been used as an archive for the past five years but I am ready to publish now. I have been labouring under a gagging order for five years and have used those years for research. My book is about corruption among all the Crown servants and needed time to bulk it out. I want to exchange the dullness and dryness for some thing lively and colourful to support the intended excitement of the book. What can you suggest. I am a jocular individual but certainly no artist. The publisher is Hay House and the web host is Netfirms of Indiana (I think ). I’m not sure I understand your question. Can you be a little more specific about what you’re looking for? Hi Leo, your timing is perfect. I’ve wanted to start a website for some service work that I do through Facebook for a couple of years and as soon as I got your first info on how to do it I went to WordPress and presto, I now have a site — and I’m loving it…thanks! Since I have several related pages on FB I have used them to post from my WordPress site which has generated a couple of thousand post views since Feb. 5 on the website already, which for what I’m doing is a very good beginning, I think. My questions are about ‘renting’ my own domain name. I am using the wordpress.com url for the site. WP is offering to ‘rent’ me my own domain name (the same name less the ‘wordpress.com’ taken out of the url) for $18 a year. I am doing the work for free and would like not to have to incur expenses. On the other hand, WP seems to be saying that I would get picked up by search engines a lot more by having my own domain name. IS THIS REALLY TRUE? I don’t understand why that would be. A second question, if I were to change to my own domain name what changeover process occurs relative to all the posts I’ve already published? On the FB pages, for instance, where many links have been made to the present urls, would people clicking on those links be redirected to the new one automatically? Or would I have to republish the posts, or…what? Also, some point if I stopped paying for the new domain name, what would happen to the website I’ve already built up? I won’t be publishing there forever, and after I stop I intend for it to be used as a sort of reference site for certain information. Emailing or other types of contact with readers is not a really needed part of the website. So rather than re-state what I wrote there I’ll suggest you breeze through those two. Spoiler: I really, truly, believe you want your own domain name, and as soon as possible. Thanks (anyway 🙂 ) Leo, I read both those articles a while back, and ‘breezed’ through them again (and then again a while later). I’m pretty sure that the answer to my very specific situation/questions are not given there -most importantly would my site name followed by ‘wordpress’ in the url cause my site not to be picked up by search engines as much as my site name without the ‘wordpress’ in it. (i.e. will it affect my SEO). (It’s kind of a ‘yes or no’ question.) But maybe you are right and the answers are there and I overlooked them. However, Google is another friend of mine and I got some answers, and also found out I need to BACK UP my site–never even thought about that, but being an AskLeo follower I am well indoctrinated in the need for backups, so I did (and it was really easy on free WordPress, love that!) Also as I understand, I can use my backups to transfer my site elsewhere or to paid WP if I decide to, which is great. OK, my turn to be a stickler :-). There are no black or white, yes or no, answers. It may or may not affect your SEO. Being on your own domain one would think should be better as it shows a commitment to the company/product/whathaveyou. However it’s only one of over 200 things that factor in – so I would not consider it a make-or-break decision point. Any of the other 200 factors could be tweaked in ways, or weighted more heavily, that could make you.wordpress.com be “better” than you.com. Or vice versa. Life simply isn’t that simple. SEO is incredibly complex. Oh, and please check your spam folder for the notifications? I’d be curious if they landed there. No email in the junk folder, unfortunately, Leo (that’s Window’s Live Mail’s term for the spam folder) — one of hundreds of examples of what you were talking about, how much easier it would be for people to find info if things are called by the same name all the time so you know what to search for. You’re right to use whatever term works best for your site. I’ll continue to exercise my freedom of speech and call it what really is, lol, but nobody needs to find my comments anyway–they will be searching for your expert and much more correct technical information. I have not found an absolutely authoritative answer to whether having ‘wordpress’ in the url –as just one factor, in and of itself–affects search engines results, but what I read agreed with what you said–there are SO many other factors that do affect SEO and my takeaway was that–for my specific and much more casual, non-business purposes especially–I don’t need to worry about keeping my free WordPress site, at least not for this reason. I’ll wait and see what else I learn in the future that may change that opinion.